Good instruction is an important aspect of your holiday, and choosing the right coaching to suit your requirements will pay dividends. 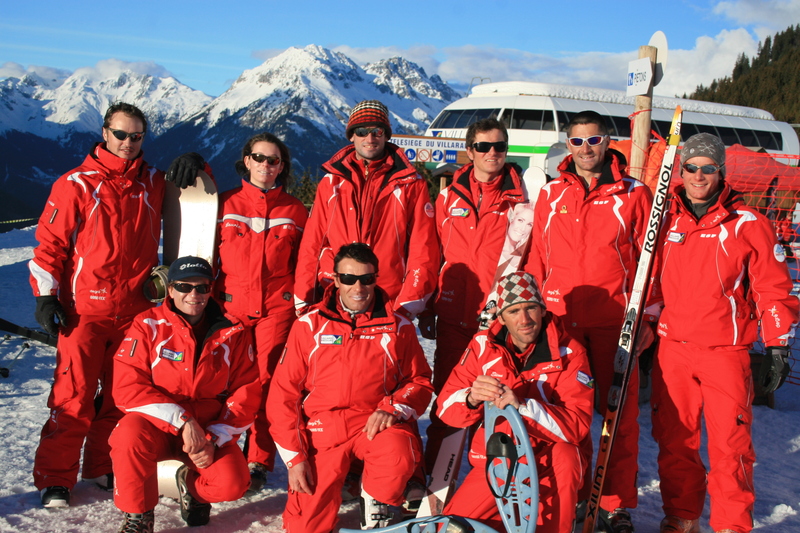 We recommend the following 2 ski school which will provide you with first class instruction. Villard Reculas has its own ski school in the village for both skiers and snowboarders. Alex Bila, the Director of the school speaks excellent English and is a popular instructor with La Source guests. Many of the other instructors in the team also speak English. Tuition in Villard Reculas is ideal for those who seek a quieter environment to learn and practice, smaller group sizes and no lift queues. Group lessons are normally restricted to school holidays, but private lessons can be arranged throughout the season. Afternoon lessons from 2:15 – 5:00 p.m. Afternoon lessons with supervised lunch from 12:00 – 5:00 p.m. The meeting point is at the Cloudit Chalet from Sunday to Friday. Medal and test are included in 6-day lesson prices. FAMILY PACK = 20 % discount on the third enrolment in 6-day morning or afternoon group classes. Offer valid for parents and children from the same family. Proof of identity required. This offer is not valid on lift passes. Beginner Class from 10:45 a.m. – 12:15 p.m.
Class 1 from 9:00 – 10:45 a.m.
Class 2 & Class 3 from 9:00 a.m. – 12:00 p.m.
Meeting point at the chalet of the Lift Villarais from Sunday to Friday. Group tuition starts at 0930 hours which requires taking the first 0900 hours lift from Villard Reculas and descending a blue run down to Alpe d’huez. Group tuition is ideal for the intermediate to advanced skier, but we caution beginners because of the first ‘blue run’ descent to Alpe d’Huez! Private lessons are 1 hour, 1 1/2 hours, or 2 hours, as required.